Oftentimes when investing, especially the first property, we over-complicate things and so in this week’s Insight Post, I wanted to take the time to simplify it for you. Even for myself, I know how things can easily get out of hand when you’re evaluating investments. I have spreadsheets upon spreadsheets of calculators with different metrics to evaluate properties ranging from the 1% rule, cash-on-cash return, cash flow calculators, etc. 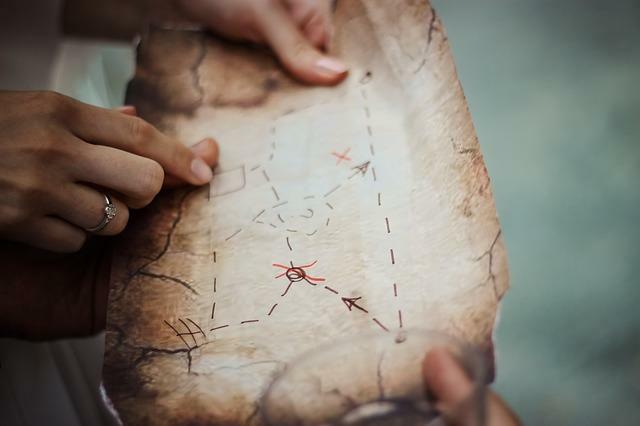 However, investing can sometimes be as simple as looking at the treasure map that the government has provided us with. Cue: Our transit map. The Millenials – With the rising price of properties, the largest cohort of buyers right now, the millennials, are looking for convenience and lifestyle. I bet if you poll 100 millennials, 95 of them would say that they are looking to buy or rent for lifestyle and convenience, which typically means a condo with some sort of transit nearby. SUBWAYS! Having access to a subway station is great, but not everyone can afford that in their investment strategy as prices for these condos have shot up significantly in the last 3 years and continue to do so. There are only a few pockets along the TTC Yellow subway line (Union Station access) that is less than $1,000 per square foot. These stations include the Vaughan Metropolitan Centre extension and Downsview. Some projects still have inventory right now so give us a call if you want to see the price list (416-436-9436). The NEW Transit Strategy for Your Portfolio – Sometimes even $1,000 per square foot is out of the budget. As much as you would want to invest in a condo near a subway station, if you want to still stay within the budget for your investment, you should instead consider looking at the GO train map. Betting on Subways – As fancy as Ford’s new transit development seems to look, I wouldn’t buy anything with the anticipation of those proposed subway stations being built. If you’re a bonafide Torontonian and have been here long enough, you’ll know the back and forth that goes on with all government proposed transit plans. It’s an on and off dilemma that gets debated forever before any kind of actual execution or even breaking ground. Think about how long the Vaughan extension took – it was officially funded in 2006! That’s 13 years ago for 6 subway stations. For some reference, that was before the first iPhone was released and before the first season of when Game of Thrones aired and the Raptors still had Vince Carter on our team! The matter of the fact is that it takes a really long time to build subways in Toronto. Who knows when we’ll get the other extensions. 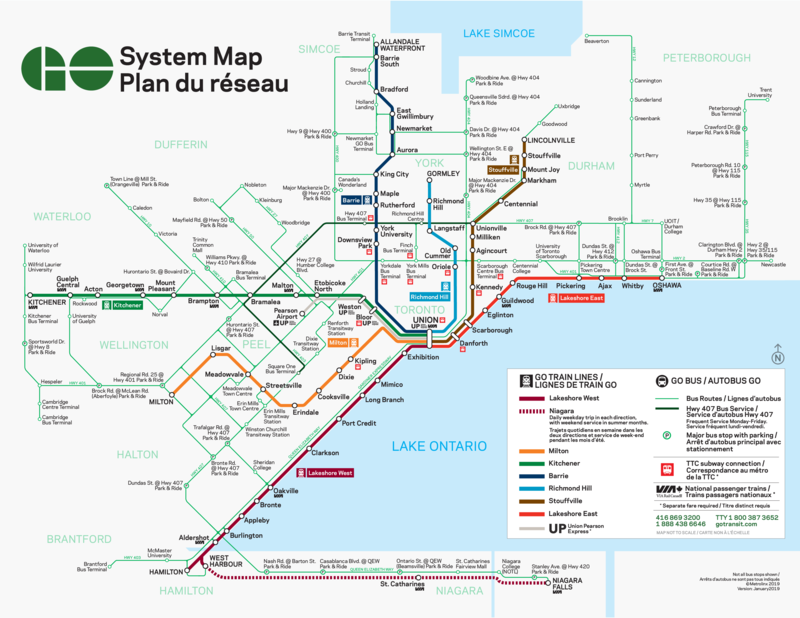 GO Time – As a result, if you want transit access projects, then you need to consider the following GO train map (see image below). If you follow the map, there are condo projects that are located 5 minute walk away from a GO Train station that are just as worthwhile investing in as the projects with subway access. Recently, Aspen Ridge just launched a project right beside Mount Joy Go Station in Markham (located on Markham Rd, Markham’s quaint Main Street area) for $700 per square foot, INCLUDING PARKING. The commute via GO Train is 1 hour, which is very reasonable if you’re able to get a 1 bedroom unit in the high 300’s or 2 bedrooms in the low 500’s. If you want further information on this project, do reach out to us at PPTO and we will set you up with this project. Another GO Station to keep an eye on is the Oakville stop by Trafalgar. There are many projects being planned there right now and could become a very dense area as Oakville’s GO Station is only 40 minutes from Union Station. Plus, you’re in the prestigious Oakville suburb near the waterfront. The Wrap – So these are the options for entry-level housing as the growth in the GTA continues at a rapid pace. Our population is to double by 2040, so you could just imagine what is going to happen to our real estate prices if we cannot build enough transit and housing for this massive wave of immigration. I’ll let you decide, whether to stay on the sidelines or to take action before the storm. 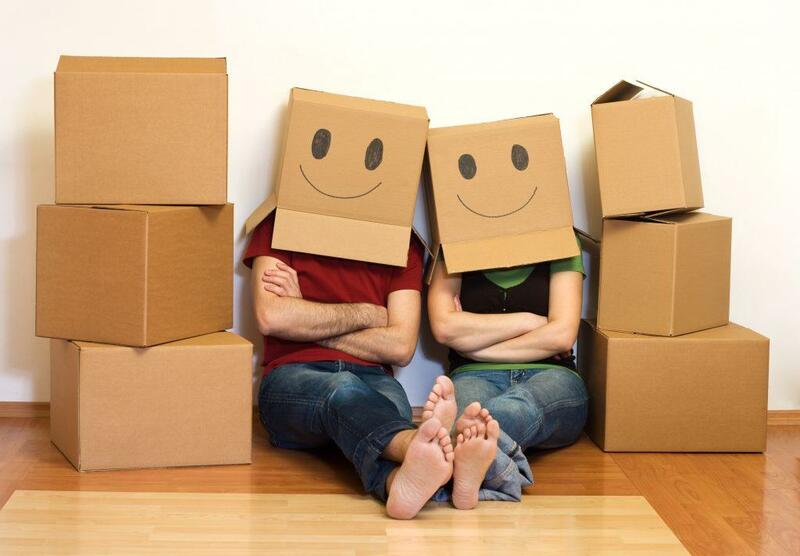 If you want to make a move, reach out to Zhen at 416-436-9436 and we can schedule a quick chat about your options. Have you ever met any landlords who are overly excited to be a landlord? That is, someone who would wake up in the morning and tell themselves, “I’m SO excited to be a landlord today!” Well, if your answer is no, then that’s normal. I always tell my clients that I don’t know anyone of that nature either. The End Goal – Trust me, being a landlord is not the easiest thing to do whether it be a side hustle, hobby or your primary source of income. What I can tell you for certain is that the random days of frustration that you may have to deal with (relating to your tenant or your property in general) is 100%, without a doubt, worth it in the end. Of course, those random days of frustration always seem to come at the worst or most inconvenient of times where it’ll make you want to sell your property. But if you end up making $50,000 from cash flow, mortgage paydown, and appreciation for having to deal with maybe 2 of those bad news calls every year, then wouldn’t those calls be worthwhile? Putting it into Perspective – Let’s say it’s a problem that requires 4 hours of your undivided attention to resolve twice a year. So that’s 8 hours per year of property management to make $50,000 or $6,250 per hour for your time? You let me know if that sounds like it’s worth it! 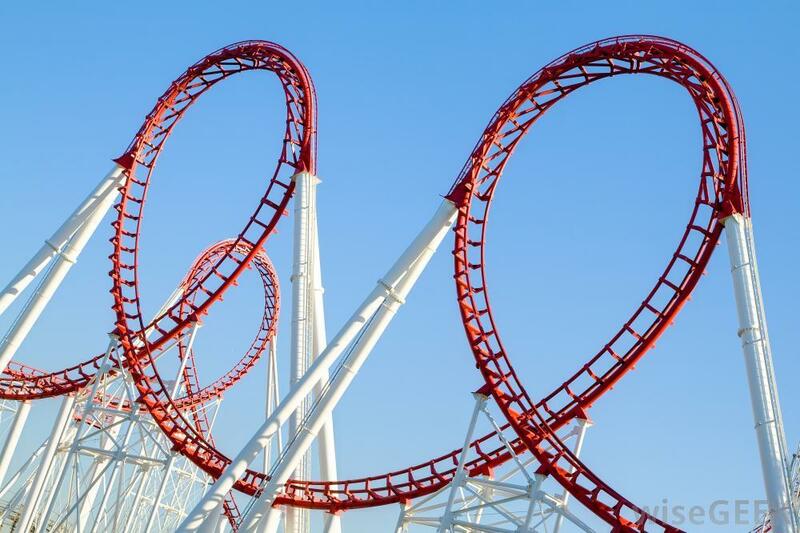 So in this week’s Insight Article, I wanted to take you through the emotional roller coaster of buying your first investment property. You hear all of the horror stories of real estate investing, landlords and tenants and all of the other things the media depicts on the evils that come from being a “landlord”. On the other hand, you realize that most wealthy individuals own real estate in their portfolio. During this phase, you want to be wealthy or even at the very least, your hope is to not be tied to only one stream of income. My Advice: Read Rich Dad, Poor Dad by Robert Kiyosaki. It’s a very insightful book and will help you understand the fundamentals of why people invest in real estate. This is the best part as you are super excited, and you start to understand the principles of investing. You learn about the strategies that could be executed to grow your portfolio faster. Needless to say, everything is rainbows and unicorns at this stage. My Advice: Make a commitment to buy your first property within 3 months, otherwise your excitement will subdue as the process drags on. The honest truth is that there is no perfect investment property. There are properties with more upside and options than others. I’ve seen many people look for the so called “perfect property” and try to time the market so that you’re buying at the absolute bottom. With these things in mind, you’ll quickly get tired, frustrated, eventually, give up and never end up buying anything. My Advice: If a property answers YES to the following 2 questions, then it’s probably worth it to buy. Remember, it’s about TIME IN the market, not TIMING the market. Criteria 1: Is it cash flow positive? Criteria 2: Can I sell it easily if I need to exit? There will be stress when it comes down to closing time, especially with how stringent mortgage qualification rules have become. Gone are the days where you can get a mortgage with just a driver’s license and get cash back from the bank. My Advice: Get a good mortgage broker and lawyer. A good Realtor will line you up with the appropriate professionals to help carry out the transaction. We have great contacts that we would be more than happy to put you in touch with. This is where it becomes the most stressful. You just bought a property, and you’re anticipating to collect rent from a tenant. You don’t know where the tenant is coming from yet and you’re now carrying a mortgage. My Advice: Follow the steps that I’ve outlined for getting the best tenant in this Insight Video on Youtube and you’ll be just fine! Remember, if you have followed our advice on where to buy, your vacancy rate should be very low in the areas which we recommend. Take a deep breath, it’ll be okay. We got you! You got your first tenant, received the first and last month’s rent, and your property is paying for itself, woohoo! At this point, you’ll probably feel like that wasn’t so bad. My Advice: Keep some of your cash flow in a separate account for emergency repairs to the property. I recommend keeping funds equivalent to around 3 months worth of carrying expenses. Getting the very first call is always nerve-wracking, frustrating, and is bound to throw you off your game. Depending on the severity of the call and the issue at hand, you may start second guessing yourself, questioning why you chose to become a landlord. This tenant and this property is starting to drive you up the wall. My Advice: Calm down, take a deep breath, call our team and we’ll guide you through a resolution. Just remember that the reward you get for dealing with these inconvenient calls is worth it, just as we had discussed at the start of this article. We have contacts for most situations as we’ve seen it all (well almost all, anyways – nobody can really claim that they’ve seen absolutely every situation). Now that you’ve gone through the entire emotional roller coaster, you’re ready for the next one and addicted to building your portfolio. My Advice: Let’s chat and determine how to line up your portfolio with a good broker and start this whole adventure again. The Wrap – I hope this week’s Insight Article prepares you for your first investment property. It’s really not that bad if you understand the journey. If you are looking for your first investment property, reach out to our team at PPTO, and we can chat about how to navigate through this market. 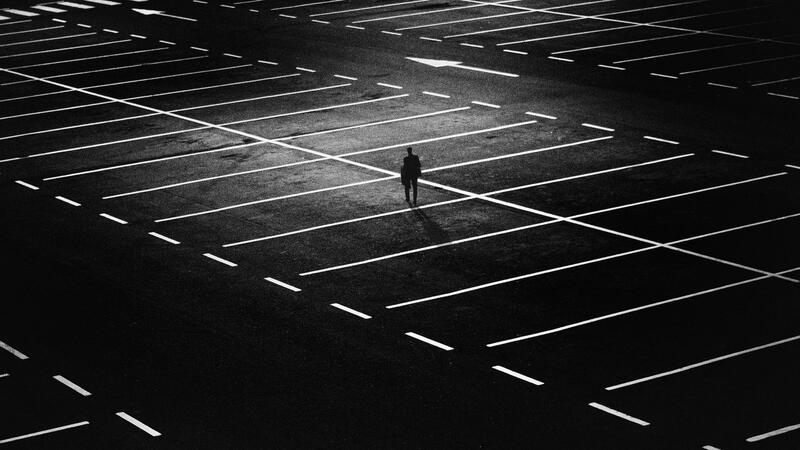 The Scarcity Effect – Depending on where and which pre-construction condo project you go with, you may not even get the opportunity to buy a parking spot. This is especially true if you are buying closer to the subway line or in the downtown core. In order to buy a parking spot anywhere in the downtown core, you must buy one of the largest units to be “eligible” to add parking to your unit. Yes, eligible is in quotation marks because if you invest in one of the smallest units available, frankly there will be no real option to buy a parking spot. You’ll be “wait-listed”, which means you are given the option to buy only if someone who bought a unit more expensive than you doesn’t want a parking spot AND if you are next in line on that wait list. Furthermore, a lot of buildings don’t even have parking for you to buy. Car shares are becoming more and more popular in the downtown core because digging underground is super expensive. On one of the last projects that we sold, parking was only allocated to a little over 10% of the units in the building. This means that for every 10 units, there is only 1 parking spot available. Personal Use Parking – Well first off, if it’s for personal use and you need it, the answer is yes. You should buy the parking spot if you can afford it. Buying a parking spot with your unit in the downtown core is somewhere in the range of $75K to $100K right now. Those are not typos; it’s super expensive to own a parking spot downtown! As comparatives, parking spots for buildings around Yonge & Eglinton is about $50K, while the remainder of the GTA averages approximately $40K for a parking spot. Investment Purpose Parking – On the other hand, if your purchase is for investment purposes and you’re buying in the downtown core or in a subway-adjacent building, then I wouldn’t recommend adding on a parking spot to your investment. It’s simply crazy expensive. For you to make the parking spot cash flow, the parking spot rental income needs to be higher than the carrying cost (i.e., you would need $270 to $350 per month, as per the below breakdown analysis for a $75K parking spot vs $100K). That’s a lot of money for a parking spot! On a relative basis, you can buy a Tesla for approximately $75K! Now when you factor in the maintenance fee for the parking spot, which is usually around $120 per month, that puts your carrying cost for the parking spot at $390 to $470 per month. There will definitely be no cash flow generated from that parking spot for sure. All the Rage – That said, if you are buying a resale property, a parking spot with a smaller unit is all the rage right now with multiple offers (for all of the reasons above). If you need a parking spot with a 1-bedroom unit, then you are out of luck in new pre-construction buildings because builders are highly unlikely going to sell these types of units anymore. It’s like trying to buy a discontinued product! 905 Transit Considerations – Now, let’s take a look at the other situation. Should you buy a parking spot if you are investing in a condo in Mississauga, Markham, Richmond Hill, and/or Vaughan? The answer in my mind is absolutely, YES. Although the parking spot is still expensive in these areas (around $40K), you are likely going to need a car in the 905. A lot of people even ask to buy 2 parking spots now. The units in the 905 with parking included will most definitely be easier to rent out and will also be a better resale product (most people drive in the 905). At a carrying cost of $143 per month plus maintenance fee, it is definitely worth it (see breakdown analysis below). The only exception to the above that I would perhaps make is if you buy near the Vaughan Metropolitan Centre (VMC)’s TTC Subway Station because this area will have access to Toronto via subway. Transit City 4, 0 minute Subway Access – We are preparing for the launch of Transit City 4 right now that will be 0 minutes from the VMC subway station. You won’t need parking for the investment to profit. Prices are starting in the mid 300’s and you won’t be able to buy condos at this price anymore connected to the subway station. So if you are interested and you’re still reading this, call Zhen at 416-436-9436 to get all of your questions answered and to reserve your unit now! The Wrap – Until our main form of public transit (TTC) reaches the areas that are farther out (could take another 20 years at this rate), expect subway access to be one of the most highly sought after amenities. So if you are buying in the cities that surround Toronto with no access to subway, then it is in your best interest to have a parking spot with your investment. I hope that has been helpful in shedding some light on the parking dilemma. Do reach out to our team if you need further advice pertaining to your particular investment. It’s springtime! We now have more light and the snow is melting – ah-mazing! To our surprise, the Canada Mortgage and Housing Corporation (CMHC) has also brought us some lovely Springtime news. The Home Buyer Incentive – The hot-off-the-press news from CMHC is that, as part of the 2019 Federal budget from the Liberals, the CMHC has set aside $1.25B over 3 years for first-time home buyers to assist with the purchase of their new homes. Yes, that’s a B after the $1.25 for Billion! As part of their proposed Home Buyer Incentive Plan, CMHC plans to assist first-time home buyers who only have the minimum down payment of 5% by helping to finance 10% on the purchase of a newly built home OR 5% on a resale home. To qualify, applicants must have an annual household income of less than $120,000. The program also caps out at 4 times the applicant’s annual income (i.e., the mortgage amount and the CMHC contribution cannot be more than $480,000). Home Buyers Plan Refresh – Furthermore, changes to the RRSP Home Buyer’s Plan withdrawal, without penalty, increased from $25,000 to $35,000, which is effective March 19th, 2019. It’s about time this program got a bump (it’s been $25K for the past decade!). The $35,000 must be repaid in 15 years. Those are the major changes. I knew something was coming down the pipeline in April, but holy smokes, this proposed policy seemingly came out of nowhere. If you’re one for examples to understand how this proposed change would work, then take a look at the example below. The Scenario – Let’s say Bob is our first-time home buyer. Bob goes and purchases a $400,000 condo. Allegedly, this is supposed to help reduce the monthly payments that Bob has to make. Effectively, this allows him to qualify for more credit under this new proposed policy, which in theory should “help” with the initial purchase (help is in quotation marks because it’s unclear how much this would help the entire market). 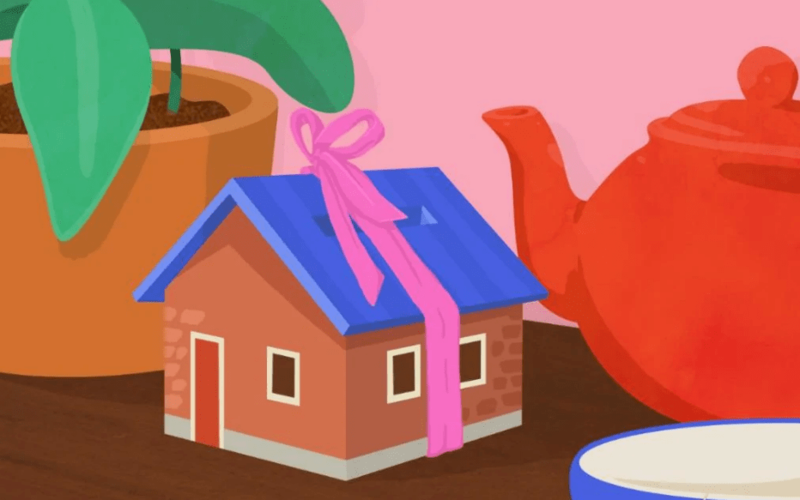 It is important to note that this contribution from the CMHC is not a gift, but rather it is an interest-free loan from CMHC and you will have to repay CMHC at some point in the future. When that is in the future is still to be announced – stay tuned! The Low Down – Okay, so let me dissect this for you a bit further. I’m all for helping those who can’t afford to be a homeowner, but I can tell you that without fixing the larger supply issue at hand (i.e., the root cause of the problem), this move doesn’t actually help anyone. The entry-level product, especially in the downtown core, is flying off the shelves with multiple offers right now. This new change only opens up the flood gates even more, as first-time home buyers who qualify for the Home Buyer Incentive can now also bid on this entry-level property. The Wrap – So when this proposed change gets passed, we’re going to see some entry-level product price jumps – “unintentionally,” as with most government policies. The entry-level product is exactly what my cash flow condo clients are targeting. So perhaps now is the time to consider getting in the door with your investment in these entry-level products before prices “unintentionally” go up. Buy now and enjoy additional anticipated appreciation. If you’re looking to get into the cash flow condo market, reach out to Zhen at 416-436-9436 before prices inevitably go up from here – you can “thank” the new CMHC policy for that when it happens! You would think that for a person without kids, such as me, March break would be a normal week, perhaps even slower. For whatever reason though, things got a bit hectic this week. You see, I usually sit down really early on Monday mornings with a cup of nice coffee before I turn my phone on to write my newsletter for the week. But this week, somehow that didn’t happen and I found myself out of routine. Perhaps it was the daylight savings… I digress. Typically, I have a request for a particular topic or a running list of things that I want to write about. 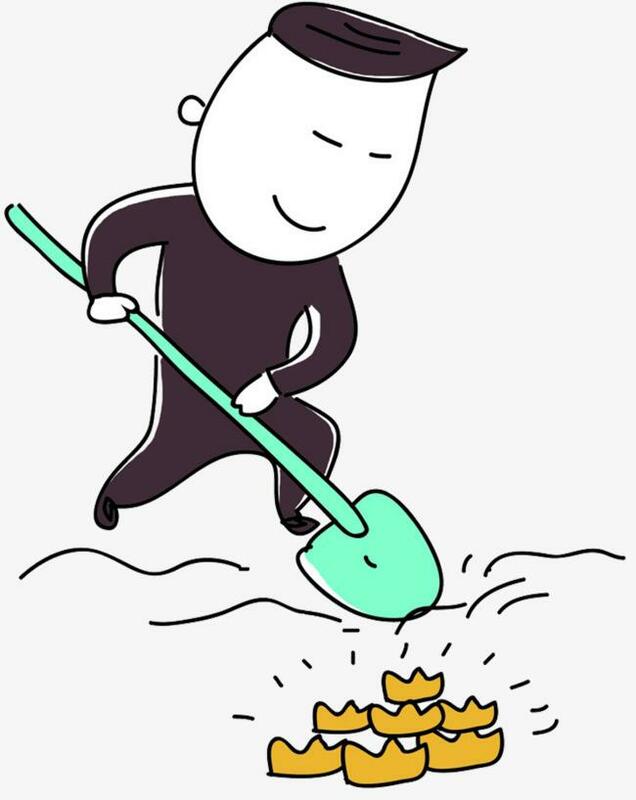 However, this week, I had so many little miscellaneous things going on that I decided to change things up and put together a bunch of micro insight posts of what’s happening in the market right now. Let me know if you like this kind of format, as feedback is always welcome! 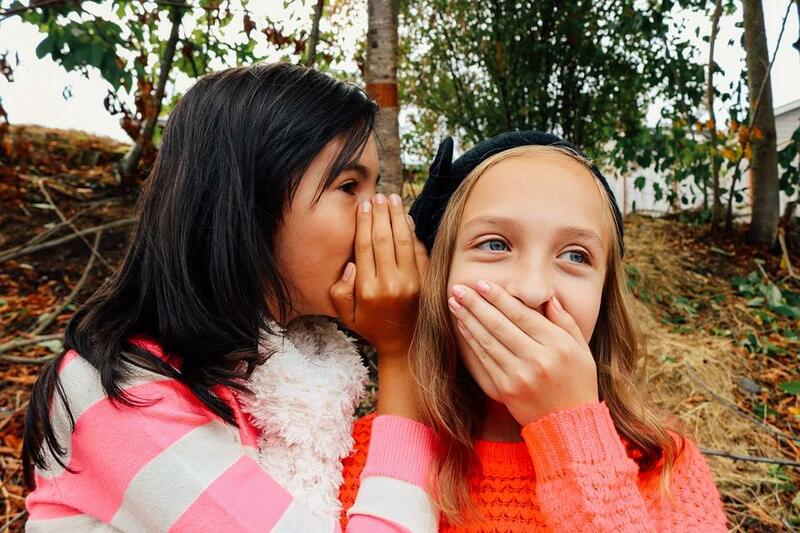 Fact You Should Know #1 – Offer Dates are Making a Comeback! Nobody likes hearing this, but unfortunately, it’s true. I represent a lot of clients on the buy-side because I have many investors looking to buy cash flow positive properties. It’s no joke, almost all of the good properties that my clients have put an offer on involved an offer date of some sort. The only difference now is that the initial listing price is not as ridiculous as the ones that we saw in 2017. The properties now are still selling with no conditions, and at about 5-10% over asking. During the recent offer dates that I’ve been through, we have been pitted against 3 or more other offers. Furthermore, 2 of the properties were actually sold via a bully offer, which is an unconditional offer that is WAY above asking and expectations, before the offer date even takes place. If you’re wondering what properties they were, the common denominator is [BREAK] that they were all entry-level properties under $750K. It’s exactly what I have been preaching: entry-level listings are making a big comeback while the luxury product still isn’t moving. This is all due to the restriction of credit, thanks to the stress test. Fact You Should Know #2 – Interest Rate Cut?! Last week, the Bank of Canada didn’t increase the interest rate. I feel like Stephen Poloz, Governor of the Bank of Canada, would be the best person you could possibly play poker with. He always telegraphs his hand and says, “next one, I’ll get you on the next one”. What a guy! Last year, it was written all over the news that we should expect 2019 to have multiple interest rate hikes. However, now we’re at the complete opposite end of the spectrum, with indications of potentially an interest rate cut instead. This is the way in which I look at it – the media needs content for headlines and they will write what they need. If you’re on the fence with buying your first investment property because of a potential interest rate hike or two, then you shouldn’t invest in real estate. Although a 0.25% interest rate could affect your yield, it shouldn’t hamstring your investment or you financially overall. Second, the Bank of Canada has historically followed the Federal Reserve (US equivalent governing body) with the interest rate hikes. The Feds increased interest rates by 0.25% in December of 2018 and we have yet to increase ours. It has only been a few times where we have not followed the Feds, so I’m preparing myself mentally for at least 1 more interest rate hike despite all of the current headlines saying that we’re going to get a cut. If we do end up getting a cut, then great, it’s time for a celebration! But again, this shouldn’t be a major contributing factor to whether you invest or not. Last week, the city of Toronto had its annual city council budget meeting. The City’s operating budget was approved, but a major was bought up by councilmen. Credit to Gil Meslin for recording some of the meetings and for the photo below. This is what Peter Wallace, Secretary of the Federal Treasury Board, had to say about our long-term financial plan: “What we have now is a gap between service commitments and revenue. That gap has been managed in the last four years by very significant increases in the land transfer tax… even if land transfer tax stays constant, the budget may be under pressure in 2019”. Here is a photo of the operating revenue history. Take a look at how ridiculously high the Municipal Land Transfer Tax (MLTT) is compared to the rest of the revenue going to the City. Do you think the City is somewhat incentivized and reliant on real estate transactions? With transactions down 20% from the highs of 2017 and 2018, what do you think is in the back of their minds? That’s some food for thought for you! I’ve been preaching about the ridiculous inflow of companies going into the Downtown Toronto core as of late. Have a look at the chart below from Avison Young about the vacancy rates in the downtown core. The vacancy rate is below 2%, which is crazy because it’s almost like the residential rental market. Then you look at the buildings under construction and the fact that most of them are pre-leased; this just tells you the sheer demand that Toronto is undergoing for office space because so many major, global companies are coming to the downtown core. As a result of all of this, where do you think downtown core prices will be in a few years? In a recent article written by the Financial Times, it talks about all of the crazy attributes of Toronto becoming a bustling tech city, and that Toronto has created more jobs than San Francisco in the last few years. It goes on to further talk about how Canada as a whole is more welcoming and easier to get ahead in life in the tech world. The budding tech scene is all in addition to the great universities that we already have. So it’s not a secret anymore. Group fact #4 and #5 together and you can understand why I am so bullish on the downtown condo market, perhaps even more than I have ever been. I hope this new format was helpful to give you some quick insights into the Toronto Real Estate Market. The dreaded stress test, whether you like it or not, has 100% made its mark on the 2018 real estate market and continues to do so in 2019. 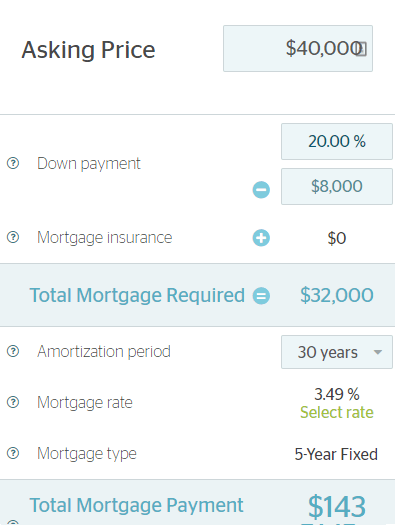 As a quick refresher, the stress test is a requirement when you apply for a mortgage that forces you to be tested at a rate that is 2% higher (200 basis points) than the posted rate. 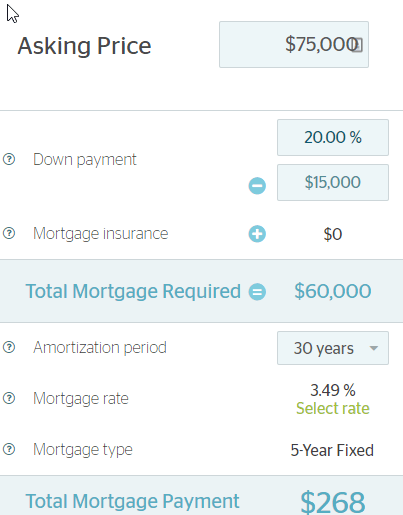 So, if you were going to get a mortgage at 3.5%, the lender would have to test you at 5.5% before they qualify you for the mortgage. 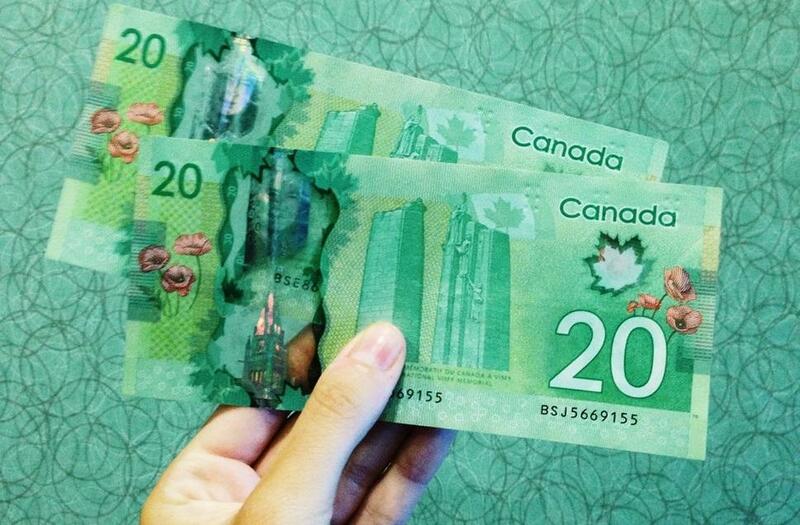 20/20 – In hindsight, that seemed like a great idea with the rising Canadian debt levels. However, it has had such a profound effect on buyers, especially first-time home buyers, that the general public is making their voice heard for it to be removed. Ultimately, the stress test has reduced buying power by around 20%. So in effect, if the stress test gets scrapped, then you could be approved for a 20% higher mortgage amount. For example, if you were told that you are pre-approved for a $500K purchase and if the stress test is removed, then you can now afford a $600K purchase instead. Oh how a simple change can shift the landscape of the entire market! …plus a whole bunch of wacky ideas tossed around! In my opinion, the stress test seemed like an overreaction to media headlines talking about our rising debt levels, which prompted the Federal government to take action. As with most changes, it all begins with a conversation and then more and more people will join in until there is a critical mass that pushes the government to make a change (i.e., the rent control that was issued 2 years ago by the Wynn government). Winning Your Vote – Without getting too political here, there will bound to be at least one campaign in the upcoming Federal election later this year that will promise the removal of the stress test to win your vote. The stress test issue is very likely going to be constantly brought up. 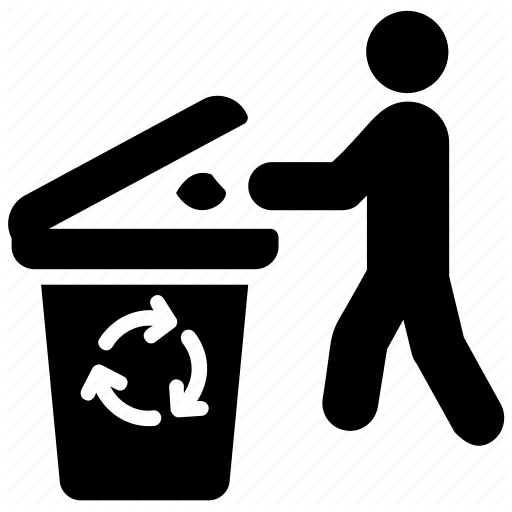 What This All Means – Do I agree with removing it? [BREAK] YES, of course! For personal reasons, I would love to be able to afford more properties (who wouldn’t?!). For the City as a whole, it’s a good idea because people ultimately want to be able to own a property, and the removal of the stress test would help to facilitate just that. However, regardless of whether it is removed or not, we’re still going to have a supply issue. The removal of the stress is going to help the “next” Torontonian by allowing them to qualify for an entry-level property. When that supply gets gobbled up by the “next” Torontonian, the prices will go up (as a result of no more supply) and the “next-next” Torontoian will not be able to afford it. Hence, that vicious cycle will start again. Unfortunately, this is the reality that many Torontonians are facing today. Unless we have less demand by reducing immigration or allow for more supply, the stress test is just the next talking point. After that, there will be another talking point about something else. The stress test is just the lowest hanging fruit for the politicians to pick on in order to win your vote. The Wrap – Over the course of the next decade or two in Toronto, we will be a city where there is a clear separation between those who own at least 1 property, and those who do not own this type of asset at all. Very simply, the affordability gap is going to be so large that it will just be impossible to buy a property unless you inherit money from parents who own real estate. We are following in the footsteps of big metropolitan cities such as Hong Kong, New York, Tokyo, and Paris. At the end of the day, it’s just like Monopoly – buy real estate and hold on to it. It’s simply the best way to win! What an eye-catching headline! Although that headline is true, this is not as alarming as you may think. The sky is not falling. We’ve had record years in the condo market for the last 4 years with over 10% growth in prices. That type of growth rate is simply not sustainable. It’s great that we are levelling off and stabilizing now. The Numbers are IN! – Here are the numbers from Urbanation, take a look at the graph below. I’ve circled in red the difference in sales that we experienced from 2017 to 2018 (I know, it’s a ridiculous drop off, isn’t it?!). Again, most of that was due to the foreign buyer tax and the mortgage stress test that we got hit with in the last 2 years. 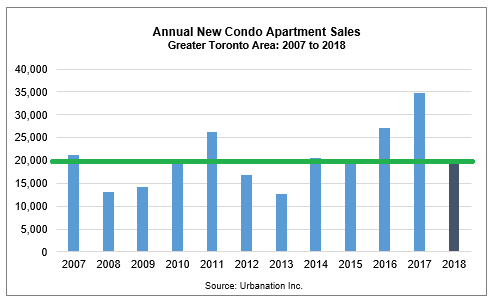 Although the 42% drop off is a catchy headline, we actually just reverted back to our 10-year average in the range of 20,000 new condo sales – you can see that with the green line that I put across the graph below for you. The Healthy Green Line – Given the green 10-year average line, the results for 2018 are actually relatively healthy in contrast to what the headlines may indicate. 2017 was simply a ridiculous record-breaking year for pre-construction condos. We are now back to more “normal” growth rates. Thinking Pre-Con? Anyone who is looking to buy pre-construction for investment purposes and is banking on appreciation alone should ought to reconsider. If that sounds like you, then make sure you do your due diligence on the project to ensure that it will cash flow and your investment will have the capability to carry itself upon completion. In an article that I wrote in December of 2018, I outlined how you can profit from the biggest price gap between pre-construction condos and resale condos. This continues to apply in 2019. The link to that article can be found HERE. Absorbing Available Units – Remember, sales in pre-construction are dictated by the builder and when they release their inventory. It is much more controlled than the resale market whereby each individual owner puts their property on MLS (via a Realtor). So with pre-construction condos, it is often very important to look at absorption rates. I’ve broken out the sales volumes and absorption rates from the last 3 years below. 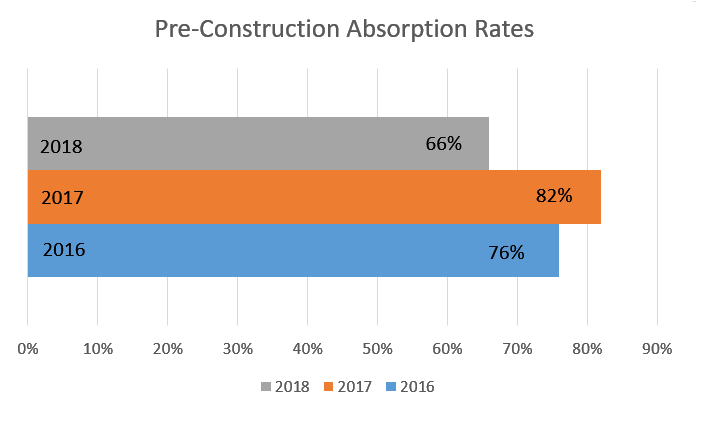 Rest Easy, We’re Stable Now – The absorption rate in 2018 for pre-construction condos is significantly lower in 2018 (i.e., 16% less). In other words, for every 100 condos available to be purchased from a builder, 16 more are not sold relative to 2017. However, as with most numbers and stats, it’s all relative. The 10-year average for sales volume and absorption rate is 20,493 and 58%, relatively. The sales volume in 2018 was slightly lower than the 10-year average (20,028 vs 20,493) while the absorption rate in 2018 was slightly higher than the 10-year average (68% vs 58%). So you can rest easy – the sky isn’t falling, just stabilizing! 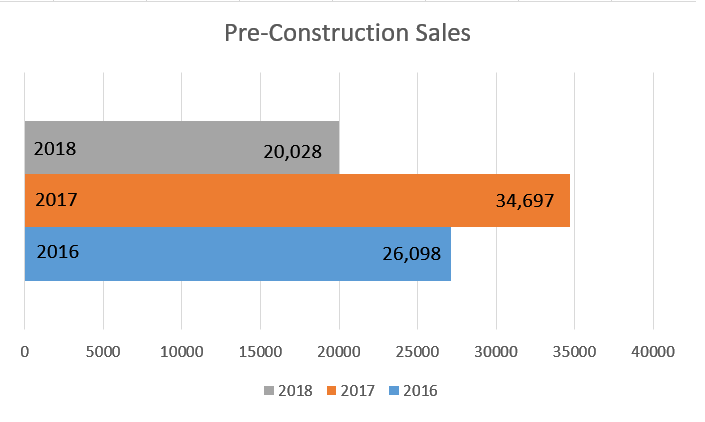 Pre-Construction Pricing – If you read the article in the link above, “How to Profit from the Biggest Price Gap in Years”, you’ll see how quickly pre-construction condo prices have jumped in the past 2 years. There are a ton of reasons why the prices have gone up in recent years but for the first time in Q4 2018, the prices have stayed put (only up about 0.4%). This means that we’re at about the cusp of pricing for pre-construction condos. Below is a chart to show you the rate of growth for pre-construction condos, resale and condo rents over a two year price period. The sole purpose of this chart is to show you the correlated growth rates that I monitor in the condo market. These categories are independent of one another, but you can see why I have been steering many clients away from pre-construction investment in the last few years, UNLESS it was absolutely a home run type of project. 19% price increase in condo rents is ridiculous – that’s 9.5% per year. The normal rate should be roughly 3-5%. 35% price increase in resale condos is also ridiculous – that’s 17.5% per year. The normal rate in this category should be approximately 3-5%. 56% price increase in pre-construction condos is just absolutely, ridiculously nuts!! Need I say more? 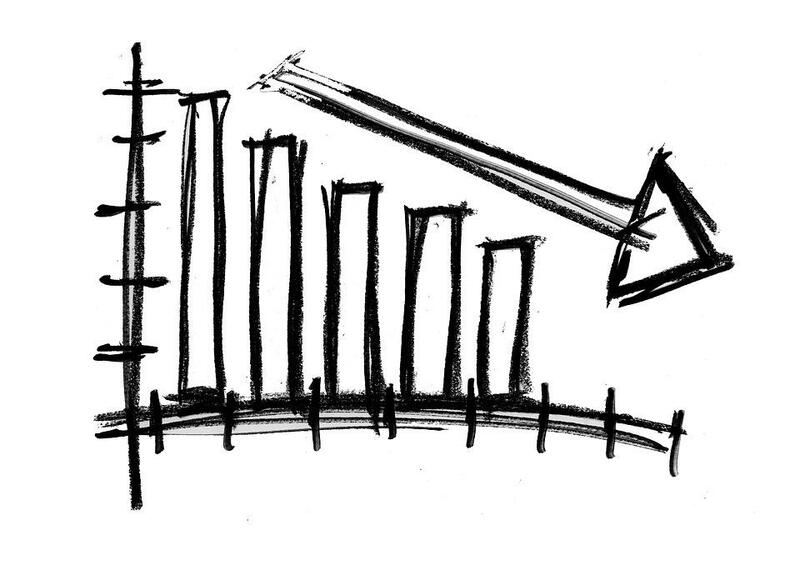 The Shock Effect – There are many reasons why the price of pre-construction condos have jumped by so much. I’ve written a ton about city permit delays, Toronto secretly doubling the development charges overnight, land acquisition costs, labour and material costs, etc. 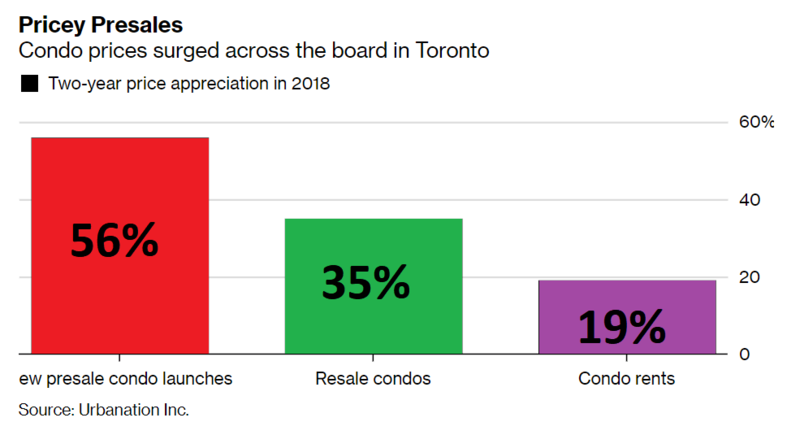 So as a result of all of these things that have happened, the spike in pre-construction condo prices should not be a total surprise and hence, why a 42% drop off in sales should not be a shocker either. The Wrap – Similar to most sectors in the real estate market, the number of transactions have dropped but the prices have stabilized. I don’t anticipate that prices will continue to fall, but rather I believe they will stagnate. Every sector of the market is behaving quite differently now, so if you plan to make a real estate move in 2019, make sure you are equipped with the proper knowledge along with the guidance of our team who keeps a close eye on these matters on a daily basis. Contact us today to see how we can help. One of the scariest things about real estate investing is finding the tenant that will cover your carrying costs on your property. This is usually the last step of the entire investing process, so I wanted to give you my tips and tricks on how to find the ideal tenant. Most Realtors would NOT share this type of info openly with you, but I find that if you know the process (whether you decide to hire our team to find a tenant or not), at least you can arm yourself with knowledge that may result in a better sleep at night. 1) Have a Good-Looking Product. Most of the time, prospective tenants will find your property through some online channel. As a result, their first impression of the property will be its photos. I always recommend hiring a professional photographer to get it done for you (approx. 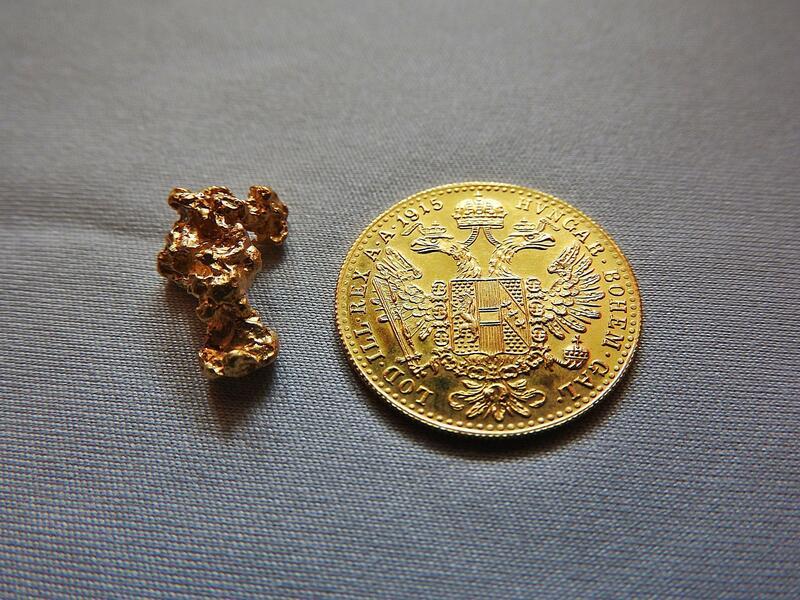 $100). If you’re a somewhat skilled photographer and have the know-how to edit photos, then you can always try to do it yourself. Remember though, you can always reuse these photos when you’re looking for your next ideal tenant, so having great photos is a worthwhile investment. 2) Good Copy and Advertising. Most people in Toronto live a very busy life. If you are not available for showings, it could be difficult. This is also why a lot of people hire Realtors. However, this is my tip for managing that issue – do all of your showings AT THE SAME TIME. That is key! If you have multiple interested parties going through your property at the same time, then that will make your property look highly coveted! If you followed steps 1 and 2 to a tee, then you will have a ton of interest in your property and your phone will be ringing like crazy. If you’re worried about not picking up all of the calls, then you should set up a call screening program such as RingCentral or Grasshopper to screen calls and give next steps for viewing the property. Alternatively, you can change your voicemail message temporarily to address all of the callers interested in your listing. Instruct everybody who is interested in your property to submit a rental application and credit check application. This will help provide you with a list of the top prospective tenants that you’re working with. A standard rental application can be found HERE. For credit check, I would recommend using a program called Naborly. Once you have multiple applications, select your top prospective tenant and have them sign an Ontario Standard Lease form and collect the first and last month’s rent. If you want to add additional clauses, I’ll put OREA’s standard clauses HERE for you. Keep in mind though, any clauses you put will only be as good as how it holds up in the Landlord Tenant Board. 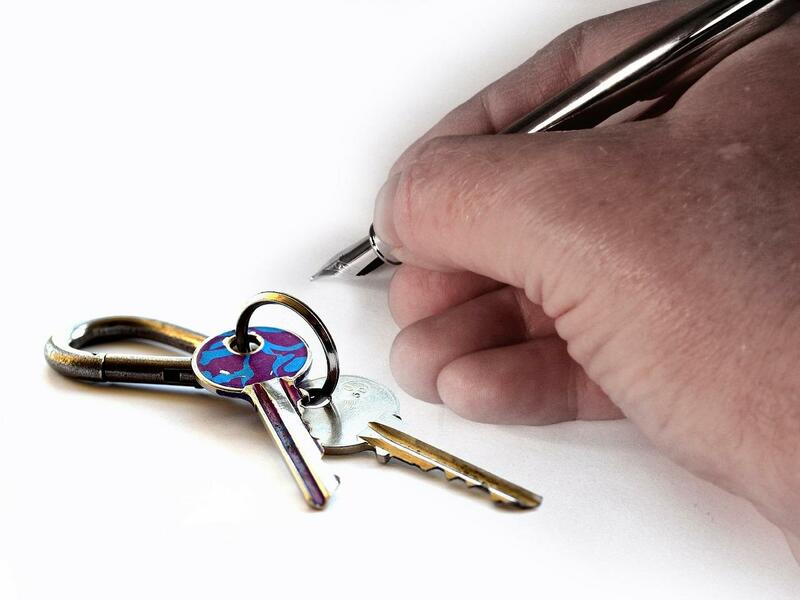 On the day of closing, exchange your keys for all post-dated cheques from your tenant, proof of fire and liability insurance, and utility transfer to the tenant (if your tenant is responsible for their own utilities). Voila! You’ve found the ideal tenant! Rinse and repeat for all of your investment properties. The Wrap – I hope that sheds some light on the entire tenant selection process. Once you do it once, it is not very difficult (albeit reading this for the first time may sound very overwhelming). That being said, many people still do prefer to hire a Realtor for this whole tenant selection process because one of the worst things that everyone dreads is having a bad tenant in your property. If you are all for sparing yourself of potential future headaches and want to make sure you put the best possible tenant in your property, then give our team a call. We have many years of experience doing exactly what this Insight Article is talking about, and can get your investment property going with an A+ tenant! As condos have become the new entry-level asset class for most first-time home buyers and investors, it is paramount for us to keep a close eye on the condo market. This holds especially true because the condo market functions completely different from the freehold market. It is literally a tale of two markets. If you want to learn more about how the freehold and condo markets are different, you can read the Insight Article HERE. Coles Notes – More often than not, and as a result of a cultural shift, we tend to seek things that are short and succinct nowadays – the “give me a one sentence summary of everything” mentality. When you read media headlines, they’re always negative and most people don’t read the entire article, but instead take just the headline for the facts. If you were to only consume real estate information by reading headlines, then you would think the world is crashing right now, and that the entire market is going for a huge dip. However, if you only look at condos, then that tells a completely different story because it is the condo market that is keeping the entire real estate market afloat right now. Fourth Quarter Stats – Below are TREB’s 2018 fourth quarter reports specifically for condos. I’ve changed the formatting a bit so that the information is more easily consumable. Condo Central – You’ll notice right off the bat that Toronto basically makes up over 70% of the condo sales (3,728 sales transactions in Toronto out of a total of 5,191 across the TREB areas). That’s because freehold is too expensive for most people in Toronto right now. To live in Toronto, condos are essentially the sole option for most people. Very soon, this will happen in the other surrounding areas as well. Many, many developers are building in the urban centres of the other regions right now. 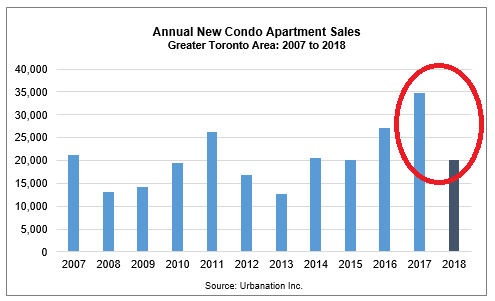 One Down, One Up – The key statistic that I want to point out to you is the declining number of sales transactions from 2017 to 2018 in the major downtown cores that have a huge condo presence, such as Toronto, Mississauga, Vaughan, and Markham. However, despite this, the condo prices are all UP. Toronto and Mississauga, more specifically, are up more than 8% with sales down over 12%. Interesting eh? The prices are up because there is a demand for downtown entry-level condos and the lack of supply in the area. The sales are down due to a combination of supply (lack of listings) and buyer confidence in the market right now (yes, those negative headlines that people skim do affect the market). If you ask me, this is the time to be looking for investment properties as there is less competition under the current market conditions, and you can ACTUALLY negotiate. Long-term Outlook – My outlook for Toronto has always been such that in 10 years time, you’ll make money, but be prepared for a dip at some point. That’s why it’s imperative that if you’re investing, buy a property that cash flows – don’t just bank on appreciation. Now, let’s take a look at the rental numbers. Inventory Shortfall? The first thing that I’ll divert your attention to is the Months of Inventory (MOI). We’re at a ridiculously low 1.7 months of inventory in the fourth quarter, which tends to be the slowest months for rentals. This means that if we get no new listings, in less than 2 months, we’ll run out of supply. That’s what we call a “hot market”. Rentals Outperforming in Slow Quarter – Now, take a look at the entry-level condos for rent. We can see an increase in the number of leased units and a jump of almost 10% in price. That’s pretty great if you’re an investor, especially since Q4 typically tends to be the slowest quarter of the year. The increase in the number of leased units is how quickly the market is absorbing all of these new condos being built. There have been a lot fewer listings on the market since rent control has disincentivized tenants from actually moving out. The Wrap – With a massive number of tech companies coming to Toronto and opening their offices in the same location as all of the condos, plus the ridiculous 6-figure starting salary that these tech companies pay, my intuition tells me that we’ll continue to see increases in the prices and rental rates. I truly believe that in the next 10 years, you’ll either own real estate in Toronto or be a renter for life. Which side do you want to be on in 10 years? if your answer is to be an owner, then we’ve got the solutions for you! Regardless of whether we are in a buyer’s market, seller’s market, or balanced market, there is always opportunity to be had if you just look hard enough (I truly believe that). That’s why there are so many people who became super wealthy after the 2008 financial crisis. That’s why there are people who profit when the market changes. That’s why there are people who make a fortune in every market. You just need to know where to look. What’s in Your Portfolio? Making money in today’s real estate market is not as easy as buying a property and hoping the appreciation will come in the next few years. Nobody is expecting that at this moment, or at least not based on the news headlines anyways. In the past two weeks, I’ve had numerous calls from non-clients who are looking at what options they have for their portfolio. Fortunately, most of them are in a good position and have money to work with. Oddly enough though, recently, there have been an influx of people inquiring about what to do with the pre-construction unit they originally bought for personal use but now need more space and are looking to sell their unit on the assignment market. Those people are sitting on a lot of equity! This is exactly where the opportunity lies. Anyone who bought a condo before 2017 is likely sitting on quite a bit of equity that has built up over the past two years. The Perfect Storm – The current market is actually the perfect storm for anyone who is looking to upgrade from a condo to a freehold property right now. The condo prices and demand are about the highest they have ever been. On the flip side, the freehold demand is about the lowest they have ever been. The combination of these two factors results in the smallest gap in recent history from a condo to a freehold property. This means that you can sell high on your condo and buy low on your freehold. This opportunity is especially great for people who live in a condo and could use some more space (i.e., for those who are thinking of kids or pets). Wait a Minute Though – “Isn’t the current freehold market the worst it has ever been?” That’s exactly the point. It’s not about whether the market will go up or down that you need to worry about. It’s the difference in price between the asset class you own and the asset class you can upgrade to. Land Ownership – Over the course of the past 10 years, I can without a doubt tell you that a freehold property will go up in price. We are running out of land to build on yet lots of people are making their way to the GTA. Now’s the time to own a piece of land (or two, three, whatever you can get) before it’s too late. If you can buy a freehold property at this moment, then you’re capitalizing on this opportunity and will be heftily rewarded in the next 10 years. Determining Your Purchasing Power – So how do you know if you can capitalize on this opportunity? Well, the first thing you need to do is to determine what equity you have in your condo. Your equity is essentially what your property is worth less your total mortgage owed. If you’re not sure what your property is worth, you can reach out to me for a free assessment. Contact Zhen @ 416-436-9436 or Zhen@PrimePropertiesTO.com. 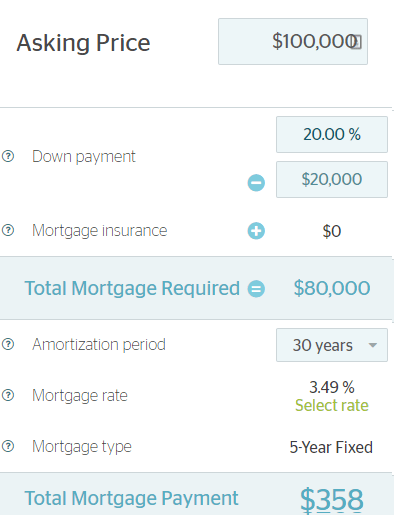 Step 2 is to determine how much mortgage you qualify for. As a result of the steps above, you will determine your total purchasing power, which is your equity plus your mortgage. Most of the time, that will give you a good idea of what kind of freehold property you could buy. The Wrap – Most of the custom scenarios that I have assessed for my clients have allowed them to upgrade into the freehold property asset class quite easily. These current market conditions, where the gap between a condo and a freehold is the smallest it’s ever been, may not last that much longer. Once an increasing number of people start realizing freehold properties are priced less than its actual worth, these properties will be in demand again and prices will shoot back up again. It’s the Year of the Golden Pig and this is YOUR year of Golden Opportunity! Don’t miss out!